The U.S.’ largest utility has been on a renewable energy spending spree of late. Duke Energy’s utility clean energy arm has invested in solar energy projects around the country while its flagship utility companies have been acquiring greater amounts of emissions-free renewable energy for distribution to customers in their respective service territories. Needless to say, all this will help Duke comply with stricter U.S. emissions regulations, such as those expressed in President Obama and the EPA’s Clean Power Plan. Moreover, it will give a substantial boost to the contribution the U.S. is making in terms of taking actions of real substance to address global climate warming today and for the future. 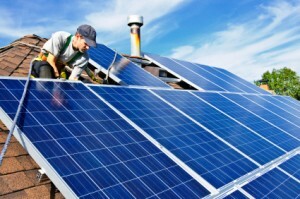 In addition to all the above, the growing contributions of Duke, its utility-industry peers and U.S.-based corporations with regard to investments in and deployment of renewable energy, energy efficiency measures and the like should help UNFCCC negotiators seal the deal on a new global climate treaty at upcoming talks in Paris this December. Duke Energy will be distributing a lot more in the way of solar-generated electricity to its customers in Indiana, the utility holding company announced August 24. The solar power initiatives Duke is taking in Indiana result directly and form part of a 2013 agreement with consumer groups that requires the corporation to acquire more in the way of renewable ¨green¨ energy in Indiana. 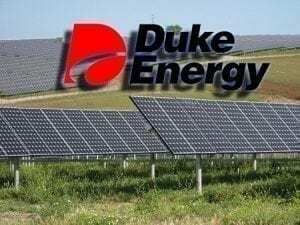 The Indiana Regulatory Commission approved the resulting 20-year deals Duke has struck with two solar energy project developers. As a result, Duke will purchase as much as 20 megawatts (MW) of solar power for distribution across its Indiana customer base, according to Duke’s press release. Inovateus Solar will develop Kokomo Solar 1 in Howard County. Among the significant developments Duke expects will result from these contracts is the gaining of experience working with members of the solar power development community to contract and interconnect with utility-scale solar power facilities. 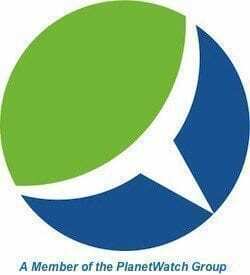 Indiana’s largest supplier of electricity, Duke Energy’s Indiana utility owns some 7,500MW of electricity generation capacity, the electrical power produced distributed to approximately 810,000 customers across a 23,000 square mile service territory.